Seefried�s radiance and imaginative strength also made her a cherishable Lieder singer over an enterprisingly wide repertoire. Her trusted pianist Erik Werba, too, reveals a natural feeling for Brahmsian rubato, sensing unerringly when to linger and when to urge on. 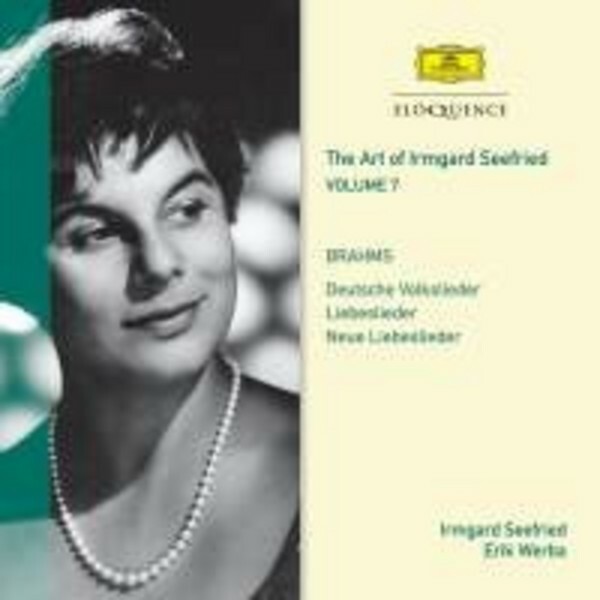 Seefried�s unselfconscious charm was in its element, too, in Brahms� Liebeslieder and Neue Liebeslieder waltzes, most famously in a 1952 Edinburgh Festival performance where her partners included Kathleen Ferrier and Julius Patzak. These studio recordings, with Waldemar Kmentt, Eberhard Waechter and the Finnish contralto Raili Kostia, date from a decade later, when her higher notes could grow a tad shrill. But she and her colleagues relish the lyric grace and vivacity of these delectable salon pieces, with Werba and Weissenborn ever-alert to their Viennese sway and lilt.